Pokémon GO, a new smartphone game that launched last week, is fast becoming the latest craze in Qatar, despite its limited international release. Launched on July 6, the free Nintendo game uses an augmented reality map to merge the Pokémon universe with the real world. With the help of a phone’s GPS and clock, it detects where users are and makes fictional Pokémon creatures “appear” near them on their screens to be caught. The game, which urges players to wander around their cities and interact with other Pokémon hunters, has been both lauded and criticized in Qatar. Pokémon Go is available in North America and the Australian/New Zealand market. But it can’t be downloaded yet in the Qatar iTunes App Store and Google Play stores. However, people have been getting it anyway by changing their region settings, using VPNs or creating new iTunes accounts. The app is expected to be released in Asian and European markets soon, but no details have been announced yet. 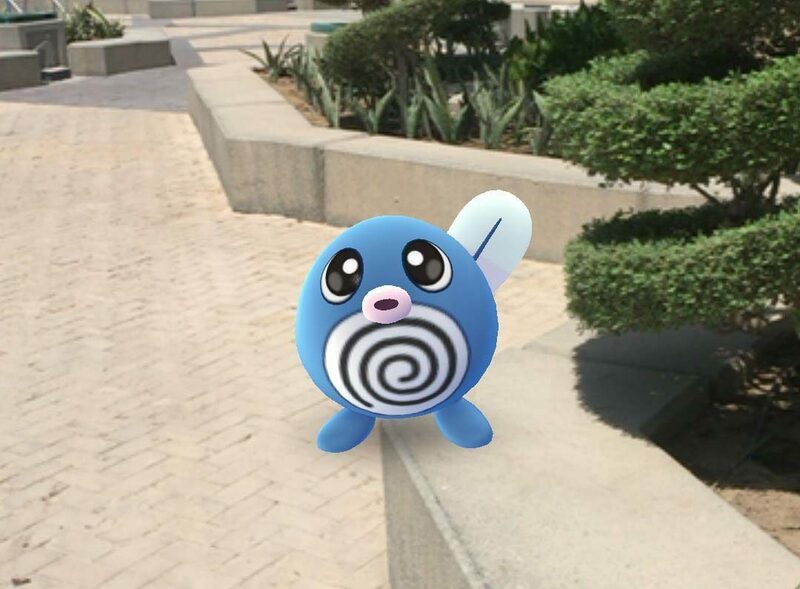 Under the hashtag #PokemonGOQatar, users in Qatar have been sharing screenshots and tweets about their experiences with the game, including where Pokémons and Pokéstops are available. Enthusiasts have even set up a new Twitter account and Facebook page called Pokemon GO Qatar to provide a platform for local residents to ask questions, share updates and socialize. “We love how people are enjoying this experience and how people are getting to know each other over a game. However, users are being cautioned to play the game carefully. In the US, over-zealous players have trespassed on private properties, closed-for-repairs spots and police stations. Some people have even been using the app in the car, prompting concerns in Qatar, according to Al Sharq (in the example below, the user is sitting in the passenger seat). However, the biggest obstacle here appears to be the hot weather. Many gamers have been waiting until the afternoon or evening before they venture outside to play. Others are going to the malls, which are large and cool enough to catch Pokémon in. Elsewhere, people have complained about the app having too much access to the information on their phones. There are also some malware concerns for those who download the game from a third party. On Twitter, some in Qatar have joked that the app should be used to get more people into football stadiums here. 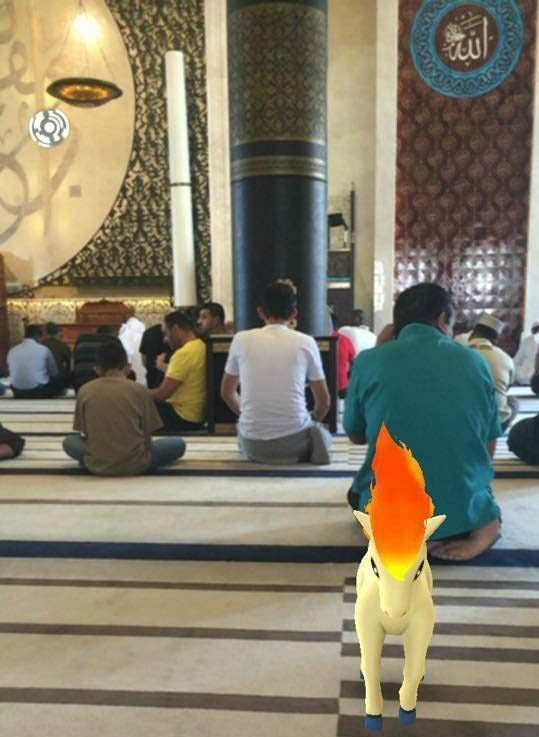 Others lamented that some users have been going to mosques simply to play the game. But many in Qatar praised the app for getting people moving. “It is a really great way to motivate me to go outside in the first place, especially since it’s the summer vacation and taking walks is the last thing on most people’s minds,” Sara Sarwar, an avid Pokémon fan, told Doha News. Have you been playing the game? Thoughts?